Everyday Life in Apartheid Israel. A talk by Dr. Jenny Tonge. Thursday 24 January. 7.15 - 9 pm. Stade Hall, The Stade, Hastings, East Sussex, TN34 3FJ. 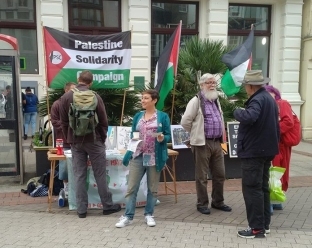 Article in the Hastings Online Times giving the background to the campaign by the Israeli lobby (though please note that the venue is: the Stade Hall. ): full story here. We have felt all along that we should not give in to this intimidation so we have persevered in continuing with organising this meeting. We hope as many of our members and supporters will be able to attend this event. All money collected at the meeting will be sent to Medical Aid for Palestinians (MAP) and the Israeli Committee Against House Demolitions (ICAHD). Dr. Tonge worked as a doctor for the NHS for over 30 years before entering the House of Commons as MP for Richmond Park in 1997. In 2008, she took part in the Gaza Flotilla which broke through the blockade to deliver humanitarian aid. 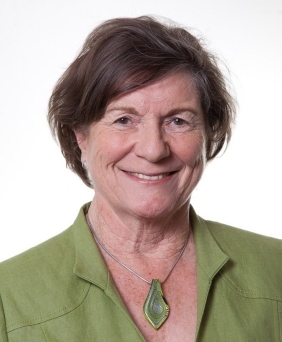 Raised to the peerage as Baroness Tonge of Kew in 2005, Dr. Tonge has been a fearless fighter for Palestinian rights and justice throughout her distinguished career. "Progressives keep quiet about Palestine out of fear for their careers." Article about the recent piece in the New York Times titled, "Time to Break the Silence about Palestine," in which the author says she can't be quiet about Palestine any longer. Article here.